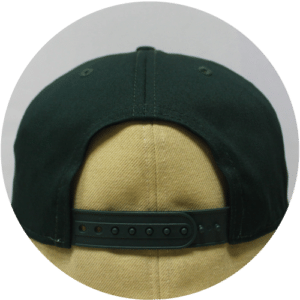 The cap of the day is a baseball 5 panels, thanks to its wide front panel it’s the perfect cap for large embellishment options such as patches, oversized prints and embroideries. 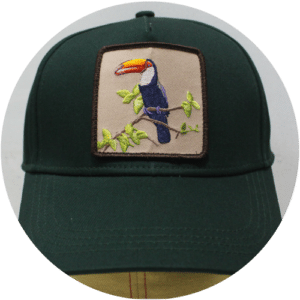 The custom cap we have here features a large highly detailed embroidery patch, created by the Spanish brand Gianin while we took care of all the technical specs. Made entirely of premium cotton, they went for a classic snapback closure. 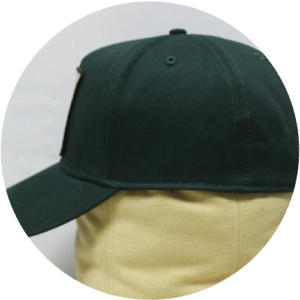 Let’s focus on the general aspect of this cap, first of all the we used our stock premium cotton twill for the whole cap, in a beautiful green which matches perfectly with the embroidery patch. With patches and pretty much all embellishments, the bigger you go, the better. 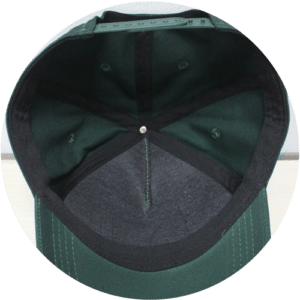 The inside features a custom padded sweatband for extra comfort as well as an extra hard buckram. The name of the company you chose Gianin its two founders and designers. Laura Morata chose the first half of the name: GIA, which arises from the termination of the word magic. We’ll post more and more articules focusing on hats we’ve produced so stay tuned. In the meantime, feel free to learn more about this kind of cap, right here !